The World's Largest Wooden Jigsaw Puzzle - #1 - 'Planiglobii Terrestris' Antique World Map - Unique gifts and corporate services. #1 - 'Planiglobii Terrestris' Antique World Map drawn by Johann Baptist Homann in around 1716. The original design for the World's Largest Wooden Jigsaw Puzzle. This massive 4,420 piece wooden jigsaw puzzle features a high quality image of the famous 'Planiglobii Terrestris' antique world map, drawn by Johann Baptist Homann in around 1716. The puzzle is supplied in a strong wooden box (it weighs 8.5 kg - 18.8 lbs), with a printed copy of the map on the box lid and 20 separate A4 prints of each section included inside. 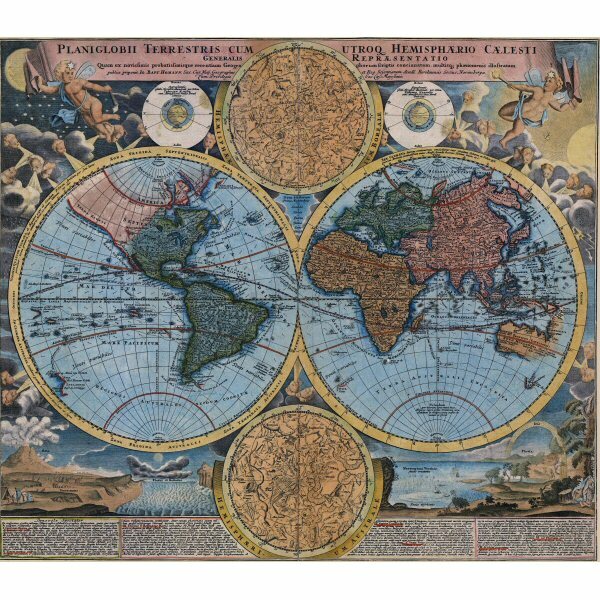 This jigsaw puzzle features a high quality image of the famous 'Planiglobii Terrestris' antique world map, drawn by Johann Baptist Homann in around 1716. This is one of the most decorative eighteenth century world maps. The two hemispheres are surrounded by vivid engravings of natural phenomena such as waterspouts, a rainbow, earthquakes, and a volcano. Wind heads occupy the starry heavens and two cherubs hold the title banner aloft. 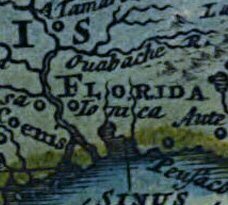 This is an early example of this map with California presented as an island and a coastline stretching toward Asia labeled Terra Esonis. Nestled between the hemispheres are two detailed celestial maps. Text panels at bottom describe the natural phenomena.